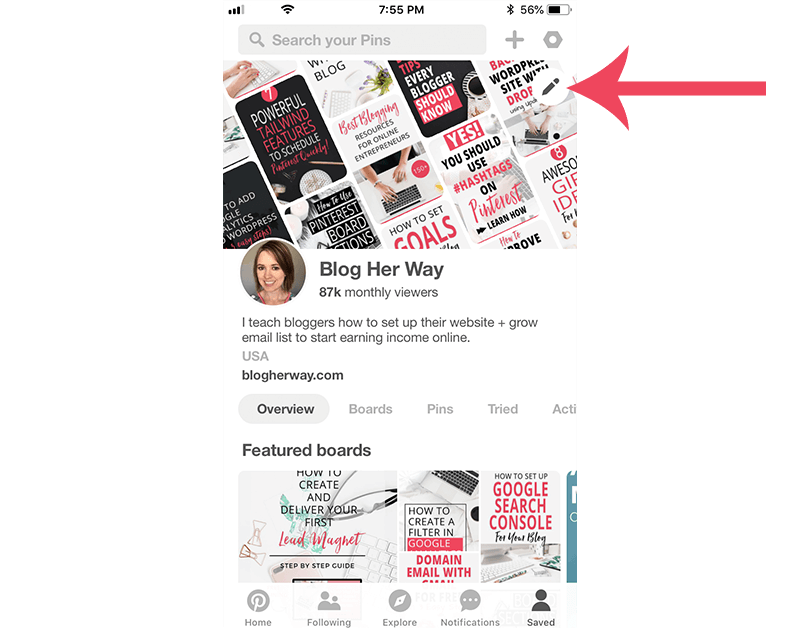 Have you seen the new Pinterest profile update? 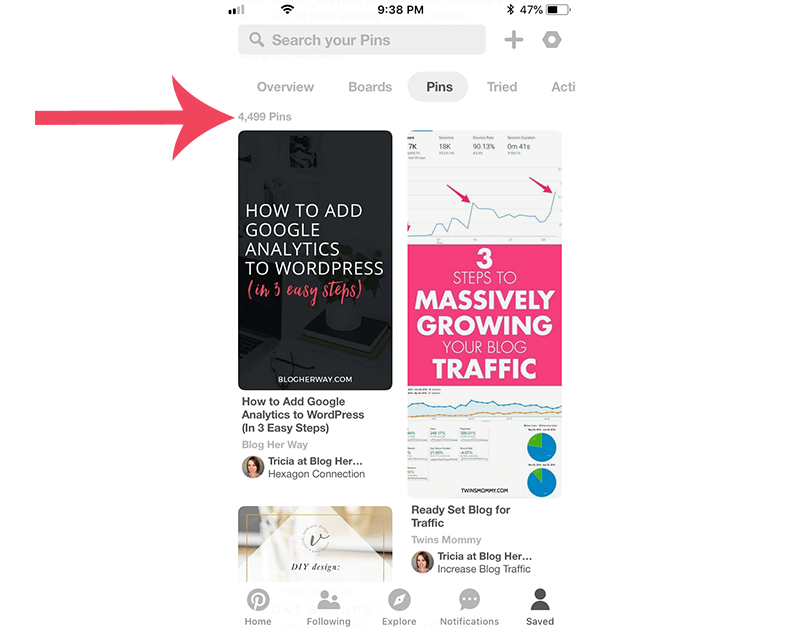 In April 2018 Pinterest rolled out with a new profile design. 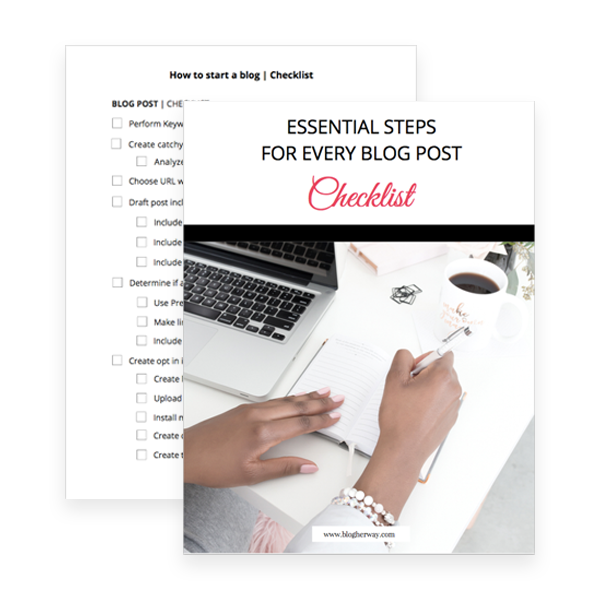 Today I want to talk to you about the 3 important features you should pay attention to and what it means for you and your blog. 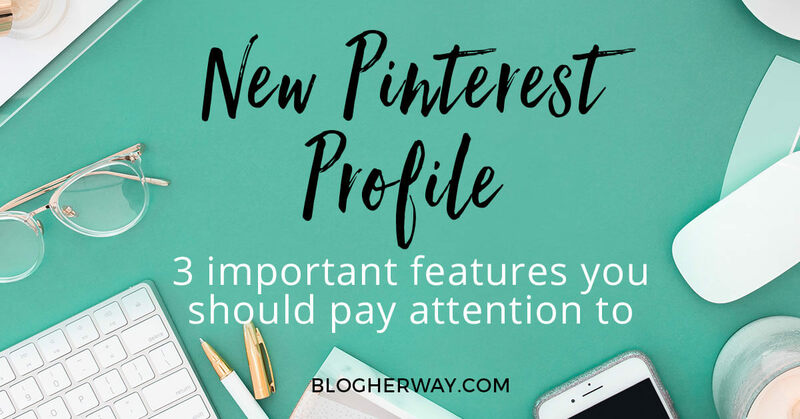 One of the most noticeable changes of the new Pinterest profile design is the prominent cover photo of various pins, which you can choose to customize to either show your recent pins, recent activity or from a board that you choose. This is a good way to get a glimpse of your pins front and center. You have the option to display your recent pin activity, any recent pin activity from your website or select a specific board. 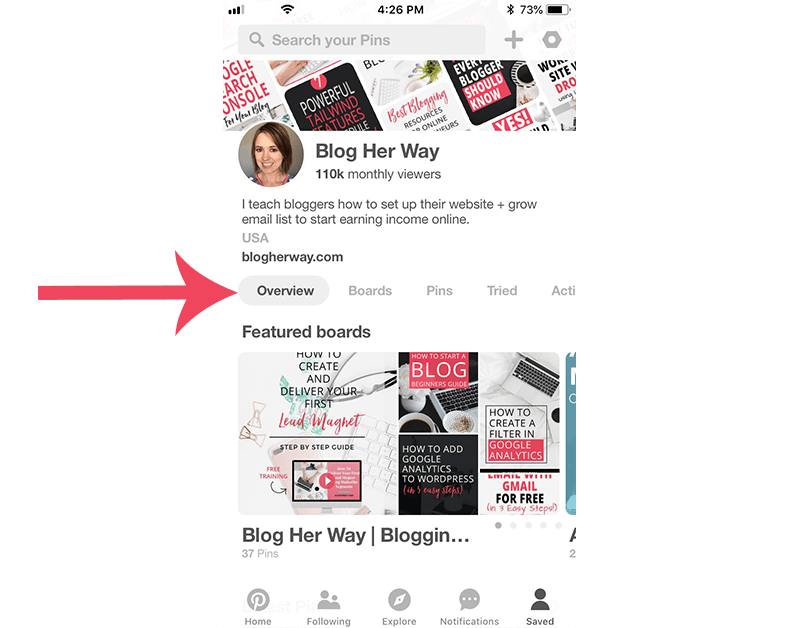 Social proof is not new to Pinterest, but with the new changes it becomes front and center. 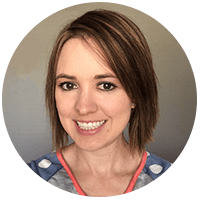 Social proof is where you use hard data or numbers of those who already follow you to help prove you are legit which encourages more people to follow you. 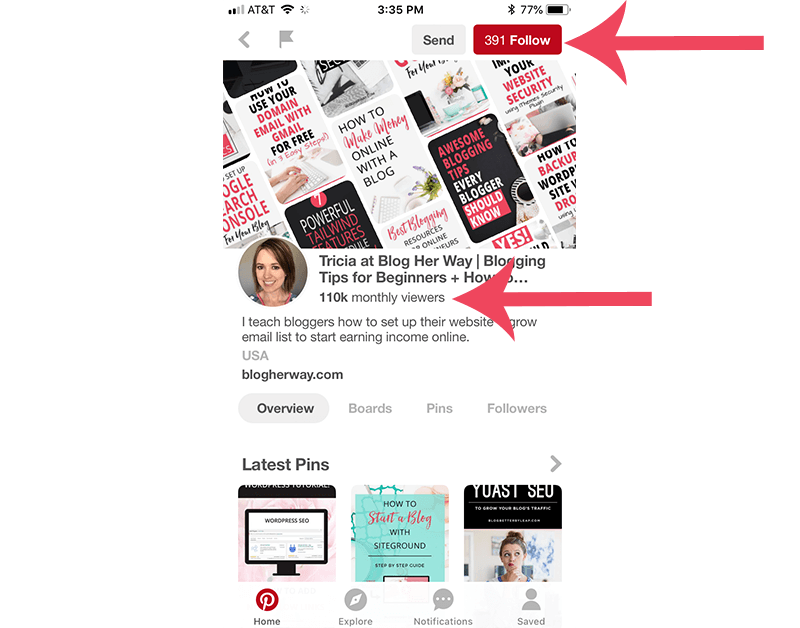 The first example of social proof on Pinterest is the total monthly viewers right under your profile name. Monthly viewers is taken over the last 30 days and it reflects any engagement your pins have received. This can be impressions, close ups and click throughs. 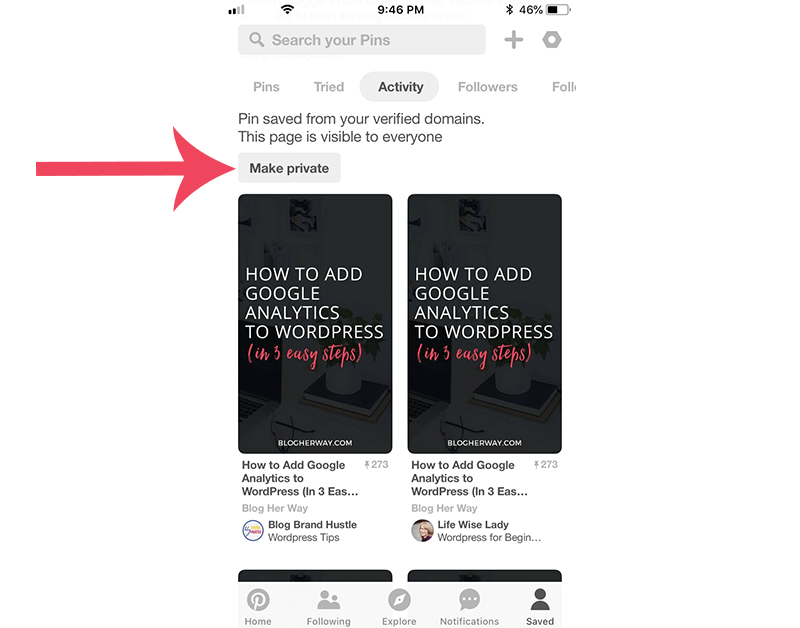 The second instance of social proof is when you are checking out a Pinterest profile of someone you are not following yet. Within the red follow button is how many followers they have. It is basically saying “Look, look how many followers I have, you should follow me!”. Note: you should totally follow me on Pinterest. 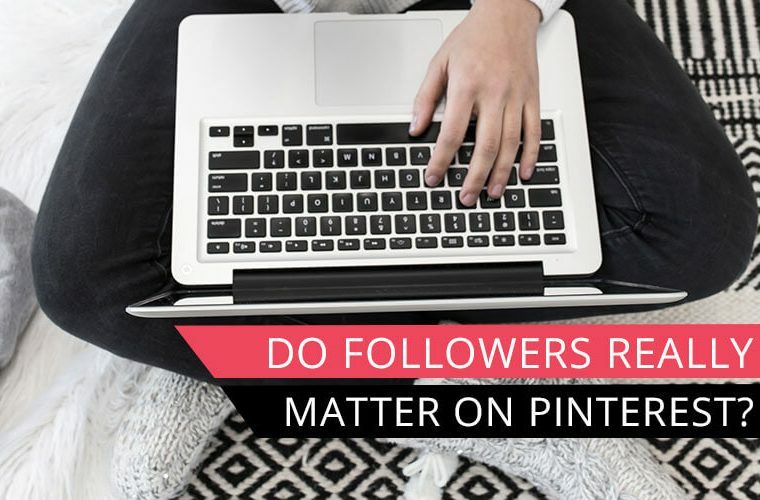 Do followers really matter on Pinterest? 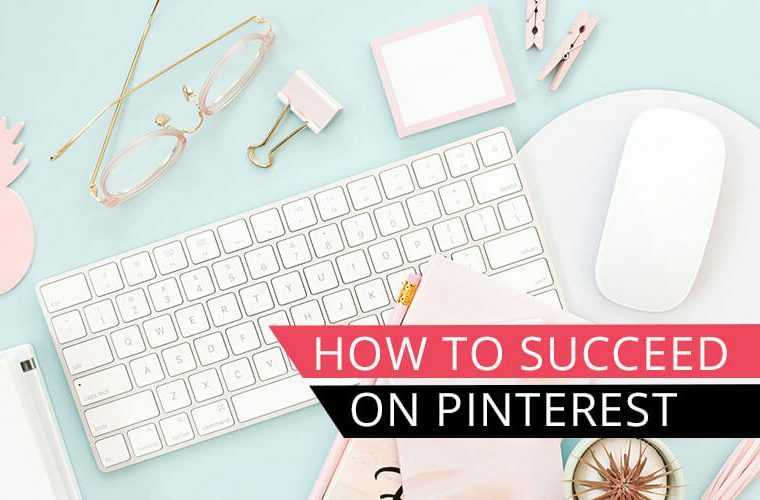 Check out my post on the Pinterest followers tab where I dive deeper into this question. You will notice there is a new navigation menu after your website URL. The new menu items include: Overview, Boards, Pins, Tried, Activity, Followers, & Following. 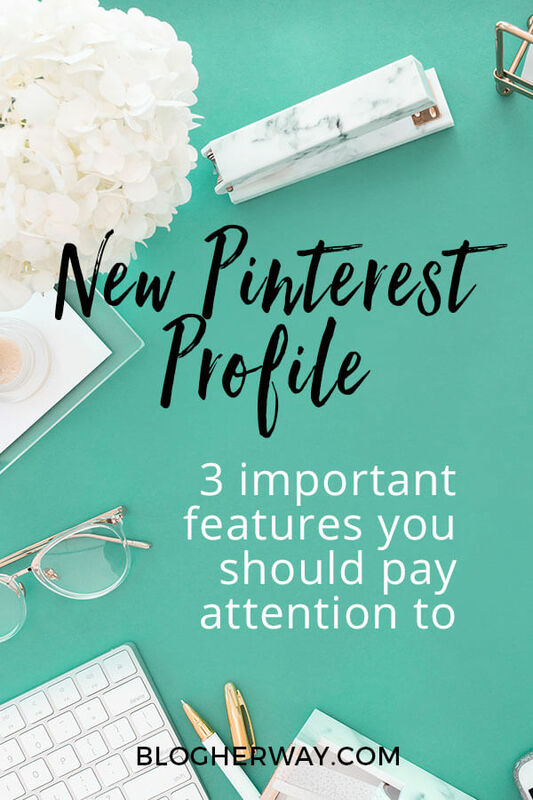 These menu items offer quick links to different aspects of your Pinterest profile. The profile overview offers a quick glimpse of the different tabs as you scroll down. Here is the order of items you will find as you scroll down through your profile: Featured boards, Latest Pins, Latest Boards, Recent activity. Featured boards: This feature came out a year or two ago. It gives you the ability to select specific boards that you want showcased. When you have multiple boards selected you can swipe through to see the other featured boards. This is a good place to showcase your best of board and seasonal boards. You can turn on this feature on your profile settings. Latest Pins: This section shows the latest pins you have saved to your profile. This is a grid layout of your pins. 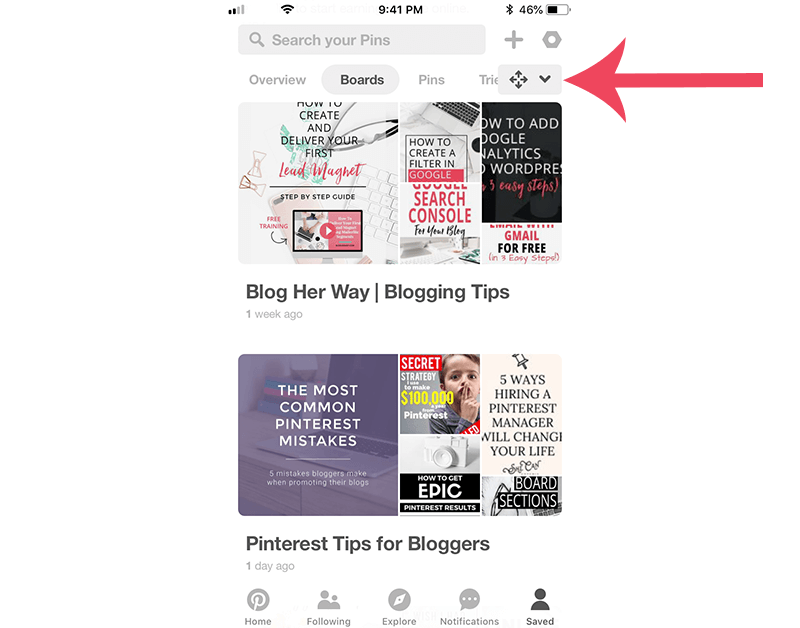 Pinterest recommends a pin dimension of 600 x 900 px. This is one of those new features where it matters and if your pin is longer than 900 pixels it will get cut off. You can click on a pin to be taken to that individual pin or you can click through and you will be taken to the Pins tab from the main navigation menu on your profile. Here you can see your total pin count. Latest Boards: This section shows what boards have been pinned to the most recently. It shows the top 4 latest boards where you have saved content. When you click through you will be taken to the boards tab from the navigation menu where you can see all of your boards. You still have the option to select the order by clicking on the dropdown arrow to determine the order that you want your boards displayed: Last saved to, A to Z, Custom, Oldest and Newest. Recent Activity: Previously you could only access your domain’s activity from a desktop computer so this is a nice addition to the mobile app. This new section shows pins that people have saved from your website. This can be helpful to see what content is trending right now. You have the option to make this tab private where only you can see the activity of your content. 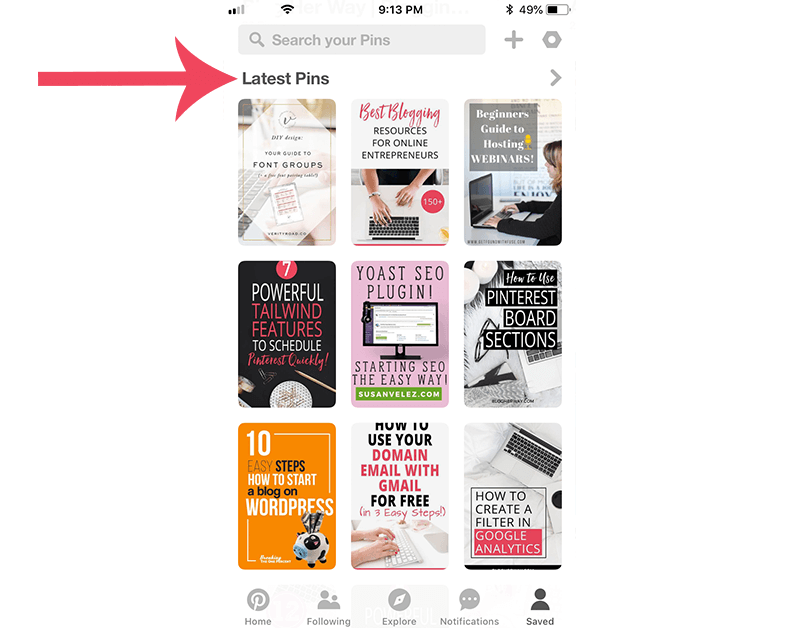 One strategy to keep the momentum of a pin going is to pin your content that other people have saved to your boards especially if it has a high repin count. You are actively engaging with that pin, which hopefully helps to keep it circulating. Tried Tab: If you have tried any content then it will show up here. Note: when you go to look at someone else’s account and they have not tried anything the Tried tab will not be available to click on. Followers Tab: Here you can see who follows you and you can easily follow them back if you want to. Following Tab: The following tab shows you what topics, people and boards you follow and shows your total following number. Don’t you just love Pinterest! Like I said they are always changing so you might as well hop on and enjoy the ride and be willing to adapt!. 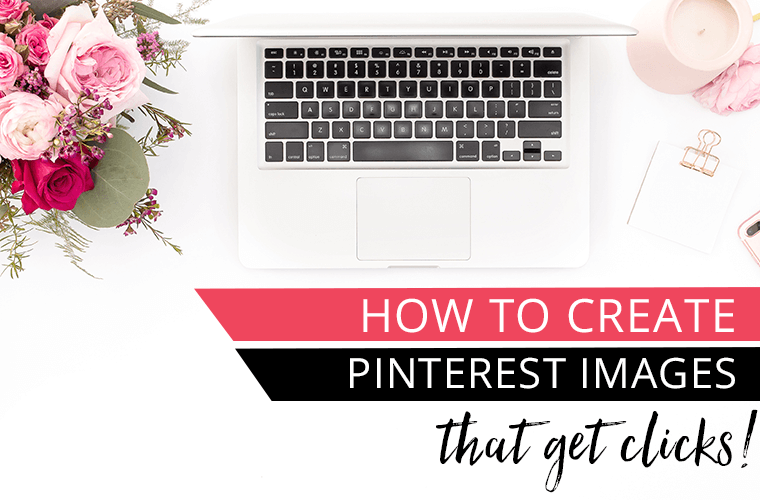 If you are looking to take your Pinterest strategy to the next level I definitely recommend signing up for Tailwind. 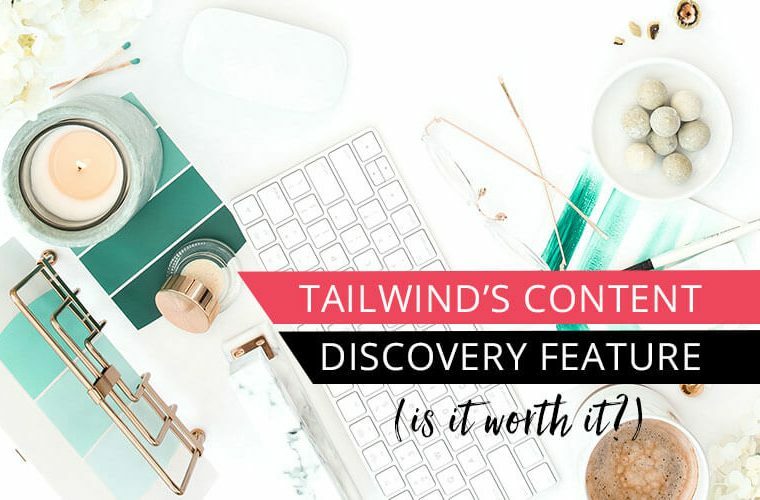 Tailwind is a Pinterest scheduler that offers great analytics to let you know what you should be pinning and at what time. Try it today! Make sure you Pin and SAVE this post for later! 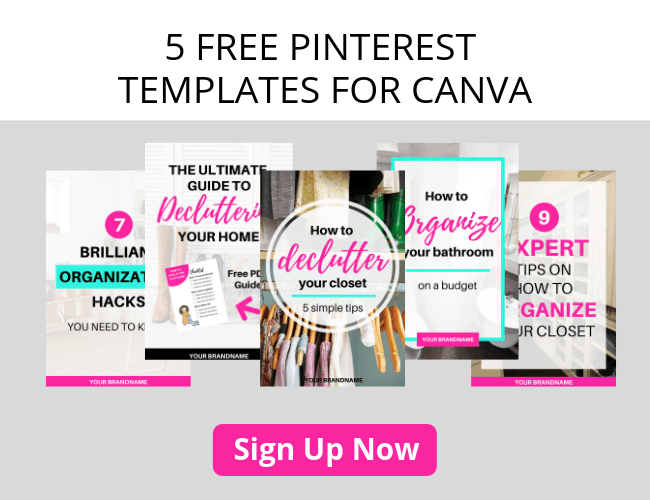 Help- Can you tell me how to change my username on Pinterest Business Account? https://www.pinterest.ca/sherilyndecter/ It is showing Decter Hirst and I can’t get anyone on Pinterest to helpp me. Shari, Have you been able to find the account settings? 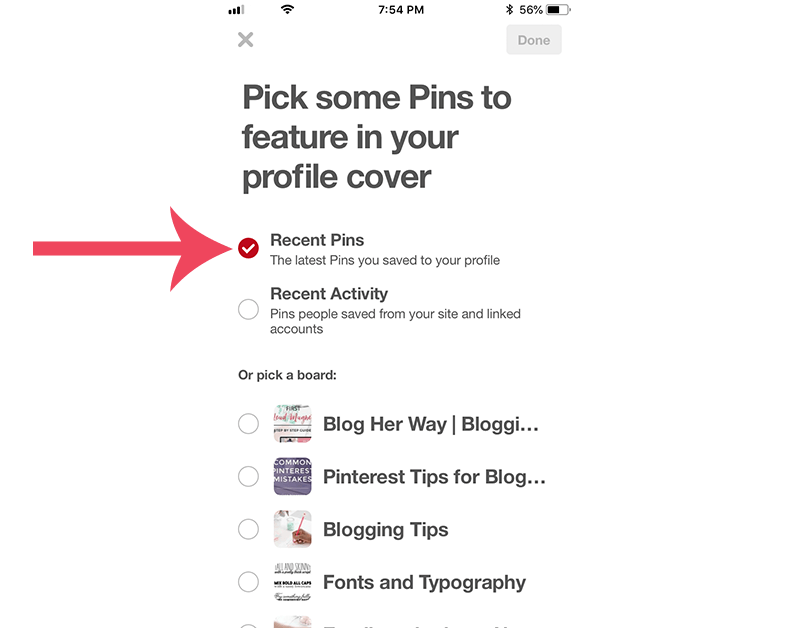 When logged into Pinterest in the upper right hand corner click on the 3 dots and select settings. Scroll down and in the profile section you should be able to change the business name. Hope that helps!